Last month, we were joyous to share in the festivities of my sista-from-anotha-mista’s wedding! She truly has become a sister to my soul over the last few years and it was a blessing to not only be there to see her marry the man who makes her heart sing, but also create her wedding cake! 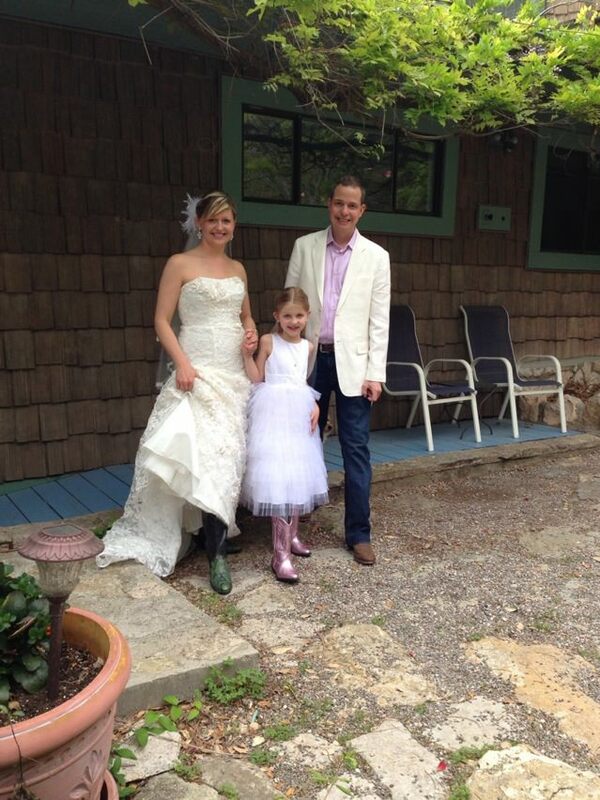 This is Puja, John, and Sophia–I absolutely LOVE the boots! 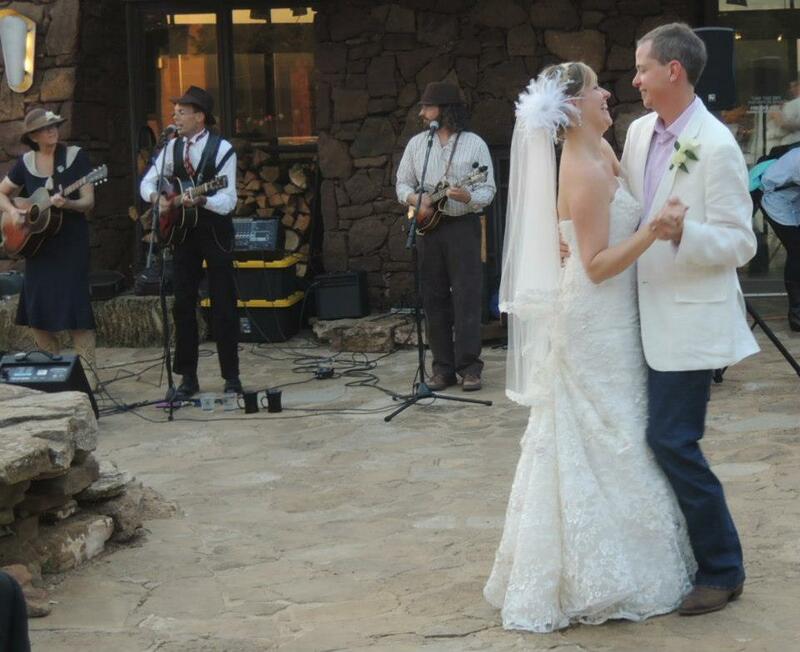 After all, they got married in TEXAS! 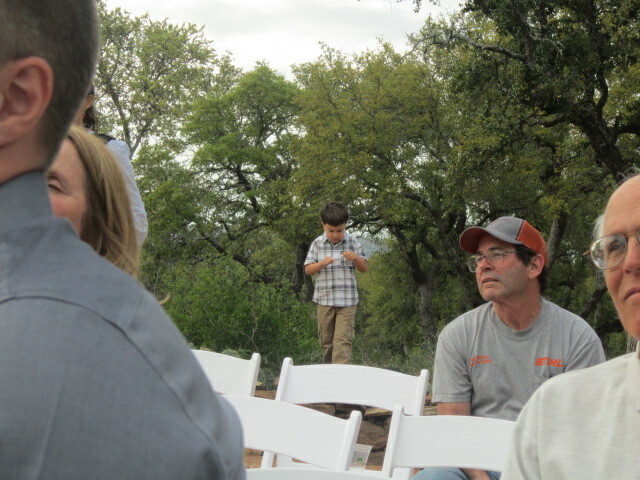 The festivities were taking place on Lake Buchanan just outside of Burnet, Tx. Her mom owns and runs Rainbow Hearth Sanctuary and Retreat which is where everything but the ceremony and reception took place. During the week leading up to the event, we spent every day there at the Hearth spending quality time with Mariah (Puja’s mom) and John and getting the feel for the kitchen so we could make the wedding cake! I absolutely love love love the Hearth. I can’t explain to you all how just being there affects my family. As we cross the property line, the little arrival sign welcomes us like long lost friends, inviting us to breathe deeper and let go of the stresses of our daily lives. In Mariah’s home, you find that you are hard pressed to look at a phone or a clock. The whole atmosphere at the Hearth encourages you to listen to your inner voice and enjoy simply existing in the present moment. And that’s what we do. We seem to relax in a way that allows us to truly be with each other. And that feeling persists for weeks after we leave. Anyway, I simply love it there. And I always feel so much closer to my friend when I get to experience the world she grew up in. Being there for the week before the wedding also allowed me to spend time with John. All I can say about that man is that he is deserving of her love, because he loves her so fully. I get a little teary thinking about it. I am so blessed to have been able to witness the joining of not only two, but three unique and beautiful souls. And I’m happy to say that over that week, my family increased by one! 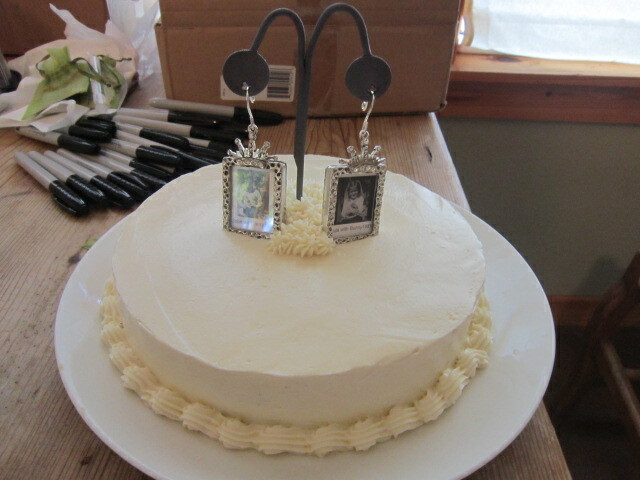 Puja had texted me months ago in regards to her wedding cake….and of course I wanted to make it! She’s no easy lady though! 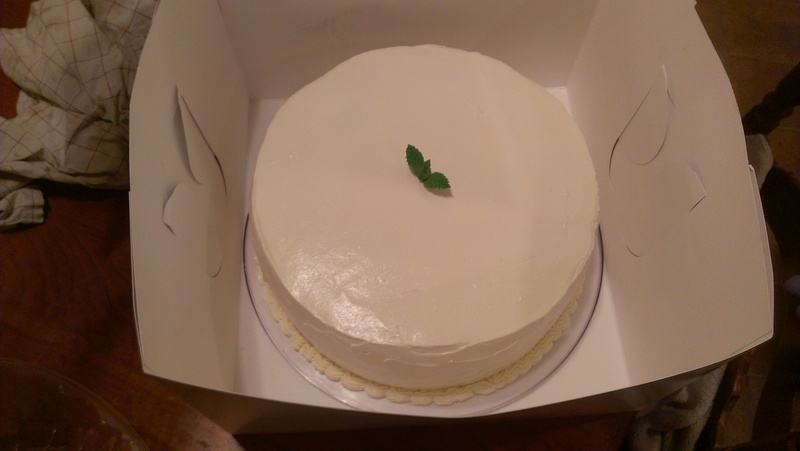 She wanted this amazing white cake with rum frosting and a passion fruit curd. Did I mention she wanted it gluten and refined sugar free? If any of you bake, you know that making a cake that doesn’t dry out and comes out tasting and looking good is hard enough. But if you add in the difficulty of making it gluten and sugar free, without a recipe, then you understand why I say I was daunted by the challenge! But, after months of trials, errors, and successes, I finally had it right and was proud of my efforts. 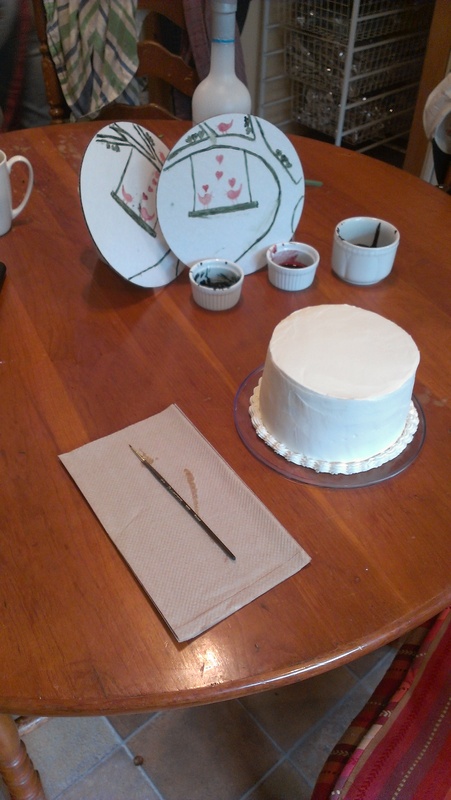 I also figured out a way for Grace to be involved…she painted the top cake! I knew Puja would love it…she’s a lady who cherishes gifts from the heart 🙂 And this cake was such a labor of love for both Grace and me. Here is a snap of one of the cakes. I initially made three cakes that were four layers each. It is a white bean cake with italian meringue butter cream frosting and passion fruit curd. I ended up making an extra two layer cake because the final guest count was a little unclear 🙂 The pictures were of John and Puja as kids with their pets! 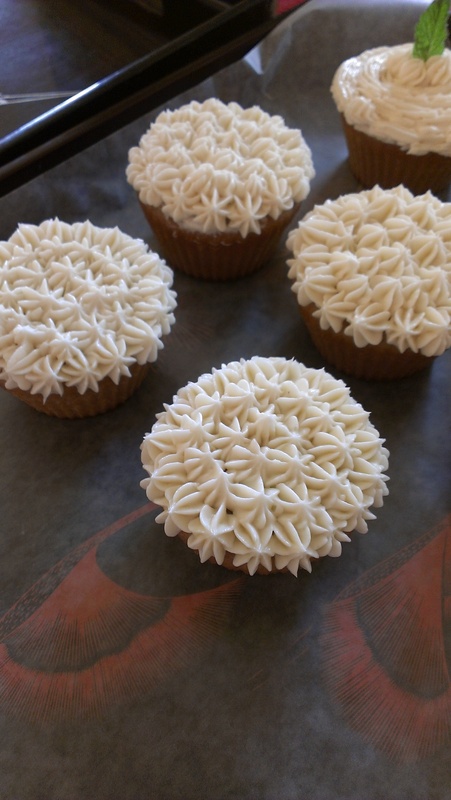 I also made cupcakes that were rum free for anyone who couldn’t or didn’t want the alcohol in the frosting. 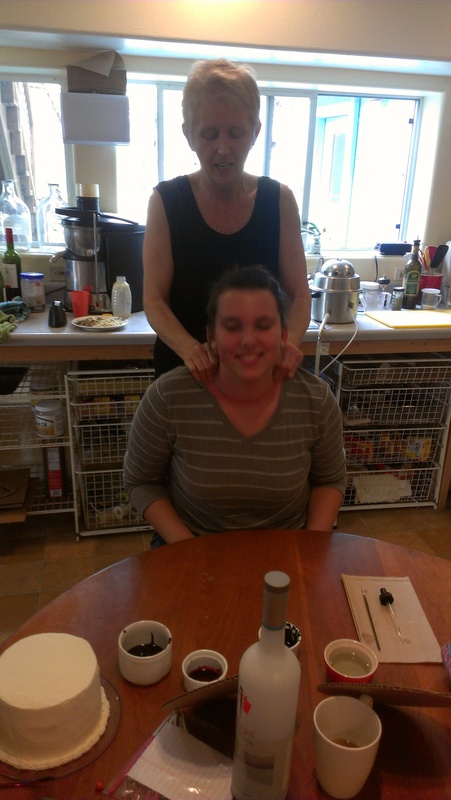 Here is Mariah using her magic to help Grace get the jitters out before painting the cake! 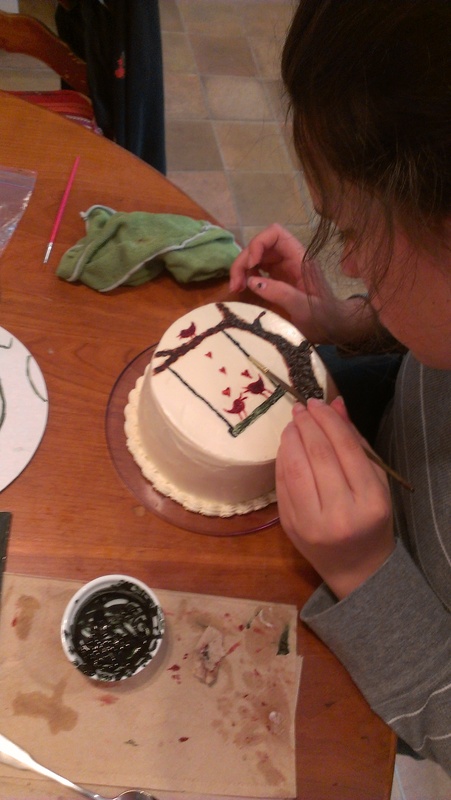 Here she is putting the final touches on the cake. We even made the colors out of healthy products. Dried vegetables and Mariah’s secret house chocolate mixed with vodka gave Grace her ”paint”! While we were putting the finishing touches on the cake, Roe was putting the finishing touches on Puja!! Roe is one, of many, of the amazing people I met over the weekend. 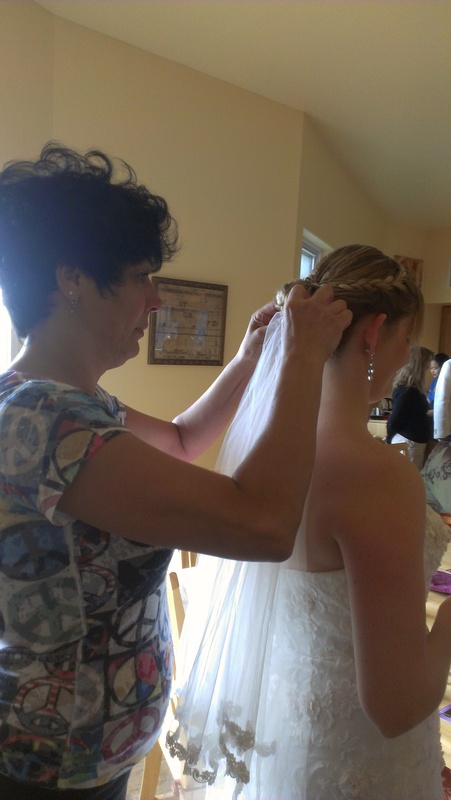 She is also from NC and owns Georgina’s Pizzeria in Morrisville! I never ate there, but you can bet it will be one of my first stops when we get back there later this year! She was beautiful and inspiring, and I bet her restaurant is too! After the ceremony, and after you hugged and kissed the happy couple, there was a table set up where you were asked to write a note to pin on the line, and add your thumbprint to their ”tree” to be hung in their house. I thought it was a lovely way to commemorate our participation in this great day! It was such a wonderful happy time. I am so fortunate to have friends like these! 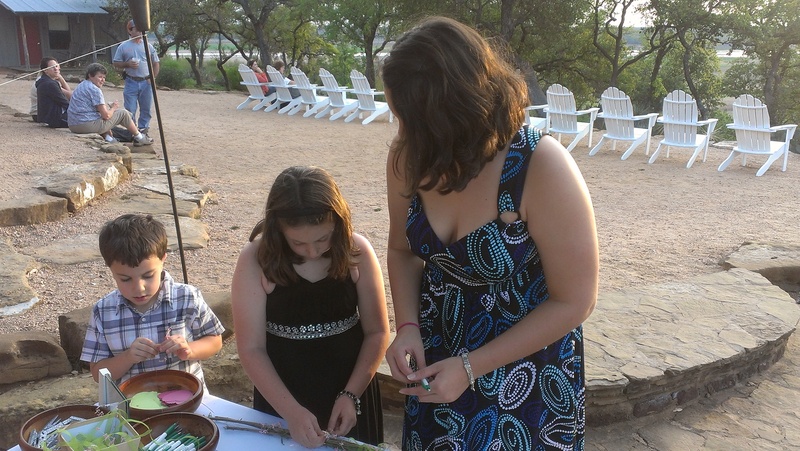 We did a lot more over the weekend….Easter and then Grace’s birthday..but I think those will be another post! Hope you all enjoyed the pictures as much as we enjoyed being there! Previous PostFun Beach Finds and Grilled PizzaNext PostOur first Texas rodeo! It was magical … truly magical 🙂 Love you all … the beautiful memories you helped create will last a life time! Beautiful! Grace did a great job on the cake! I’ll bet it was delicious! And congrats to the beautiful couple! 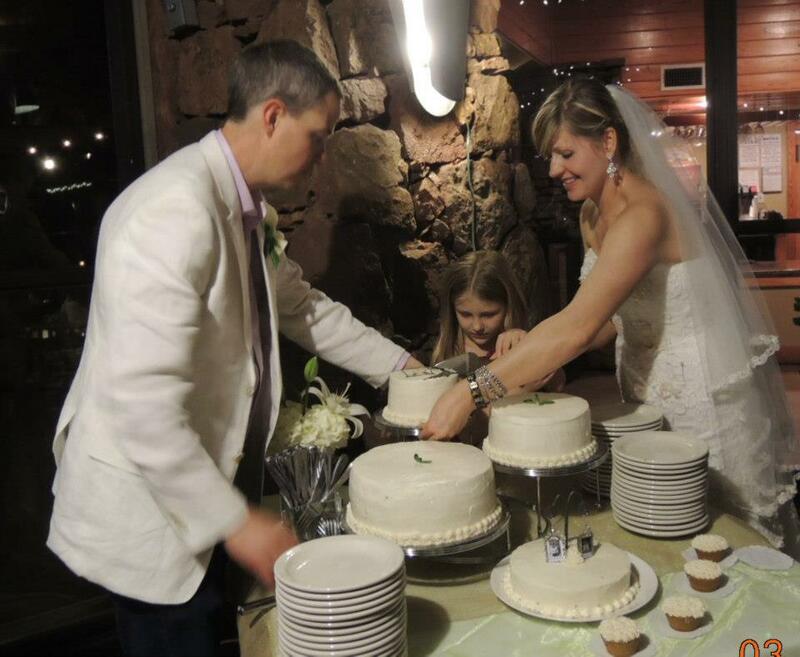 An excellent Texas wedding with an excellent cake.